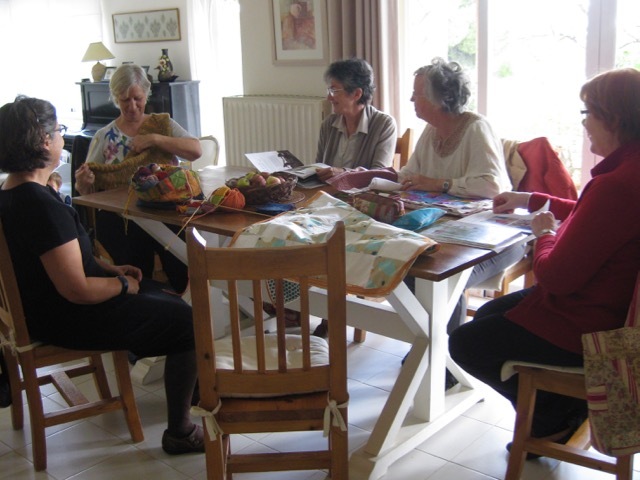 Last Monday the quilting meeting took place at my home. 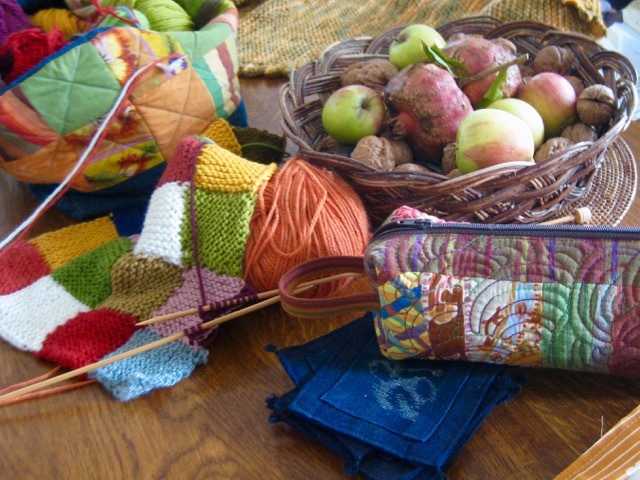 As you can see, it is becoming a quilting - knitting activity! 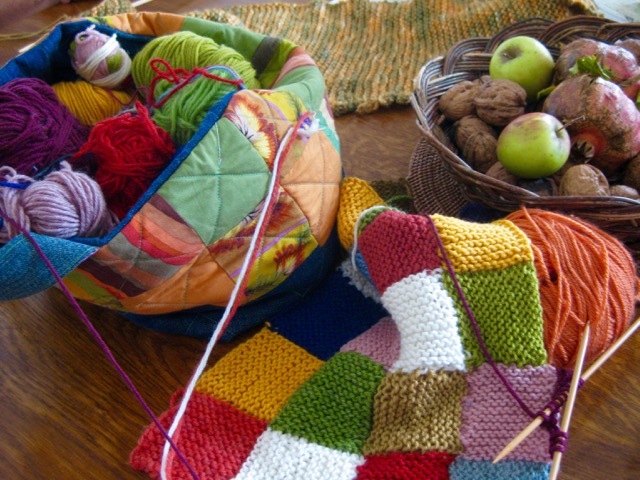 Agnes is knitting a lovely shawl and Eleni, our long-arm quilter, is knitting a sweet patchwork doll blanket. 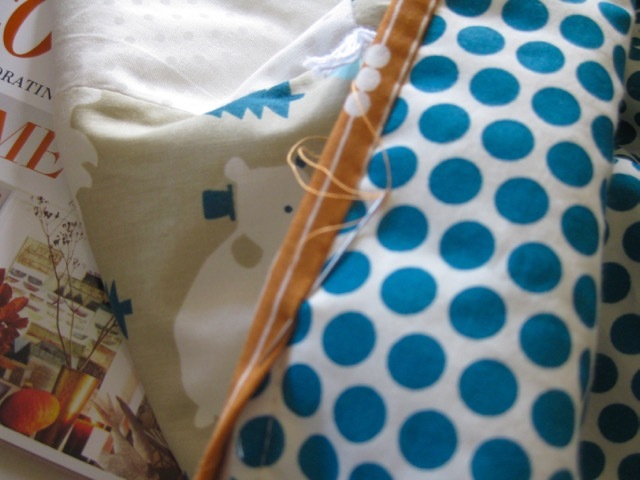 I started hand binding my baby quilt. Next week I will publish the promised tutorial! 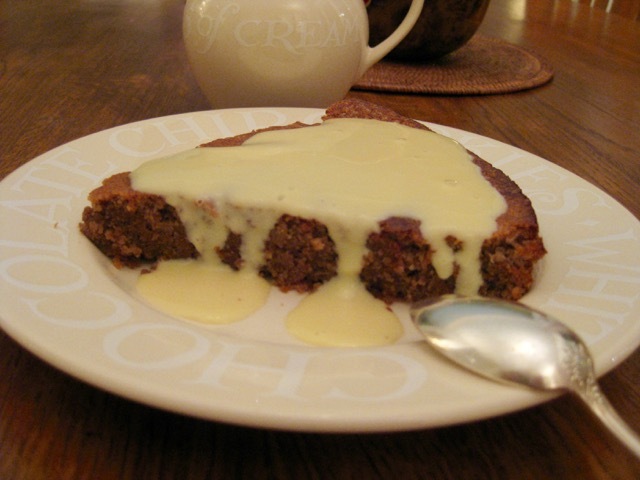 for the opportunity of our meeting I baked a walnut cake and a custard cream, both grand-mother's recipe. Oh... looks like a colourful meeting of creative spirits! How wonderful for you! Oh how wonderful....and yummy! I've been busy hand binding too. Merci de partager ces belles photos remplies d'amitié ! Oh that looks like fun and the treats are so tasty looking they made my mouth water! Happy Stitching! That looks like a fun meeting with a yummy dessert. Care to share the recipe? Always fun to get together with friends. Such a cute doll blanket. 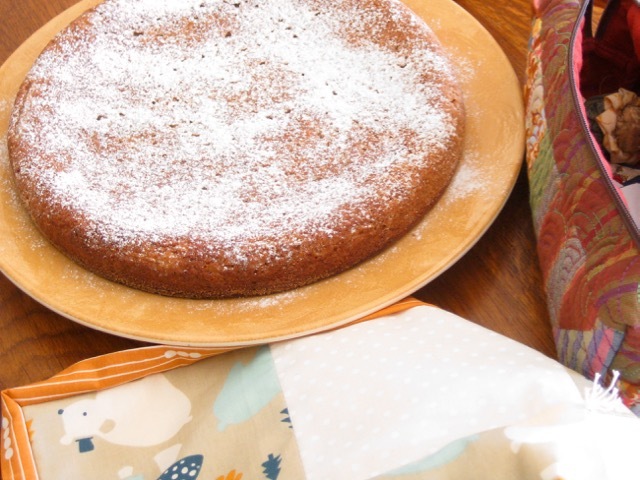 Your walnut cake so delicious! What a lovely photo a=of you all gathered around the table - nothing like good friends!! Your cake with custard cream looks delicious. What a wonderful get-together. None of my friends are crafters. :( That walnut cake looks delicious. Looks like fun! It's lovely to see part of your home with so much light. I can almost smell the cake. That looks like the most wonderful way to spend a day Christine! You all must gain insiration from each other as well as have a lot of fun! Je ne sais pas ce que je préfère de vos travaux ou des gâteaux... les deux sont appétissants !